Carbon footprint measures the total greenhouse gas emissions caused directly and indirectly by your organisation, event or product. 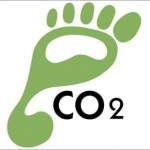 Carbon footprint is the amount of CO2 emissions from your activities. Your carbon footprint is measured in units, tonnes or kg of CO2. Our carbon footprint is mainly produced through burning fossil fuels for heating and transportation, but also in production and transport. your indirect carbon footprint, things like the energy used in transporting goods or travelling to and from work. The direct carbon footprint is a measure of our direct emissions of CO2 from the burning of fossil fuels including energy consumption and transport. We have direct control of these. There are a number of schemes available to help you to offset your carbon footprint. The indirect carbon footprint is a measure of the indirect CO2 emissions from the whole lifecycle of products we use – these are generally associated with manufacture and eventual disposal. At RKMS we have a number of experienced consultants that can assist you to scope, measure, monitor and reduce your carbon footprint, increase sustainability and resource efficiency. Our consultants have access to the latest carbon calculations through DEFRA. Measuring your carbon footprint is the first step towards reducing the amount of carbon generated form activities and is closely linked to cost savings. Measuring your carbon footprint can also help towards meeting objectives in an Environmental Management System (EMS) such as ISO14001 or ISO50001. Other standards are also now available such as the Carbon Action Standard, recently accredited by the Environment Agency you can now receive recognition to demonstrate reduction in your carbon footprint, our consultants can help you to acheive this standard and certification to demonstrate to your customers and stakeholders that you are acting in a responsible manner.